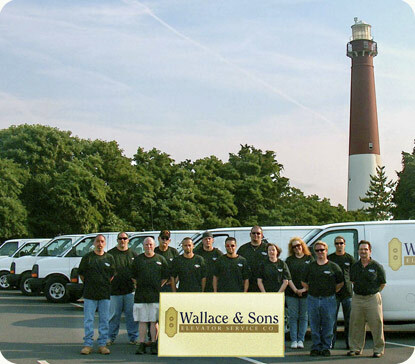 Family owned and operated with over 30 Years experience, Wallace & Sons is New Jersey's most dependable elevator service company. We take pride in dependable & reliable elevator maintenance, testing, and repairs. Find out why more people are turning to Wallace & Sons for their elevator repair and service needs in the why us section. Wallace & Sons Elevator Service Company is affiliated with Accredited Home Elevator Company specializing in the installation of residential elevators, dumbwaiters, and platform lifts throughout all of NJ and greater Philadelphia.